Disclaimer: Although I’ve attended for free for years as a student or volunteer, this year marks the first time I’ll be sitting at a “big kid” table at Diamond Chef. Organizers offered me a ticket in exchange for my normal coverage, so I’m telling you and the FTC powers that be. Sorry for two “sponsored” things in a row, technically. 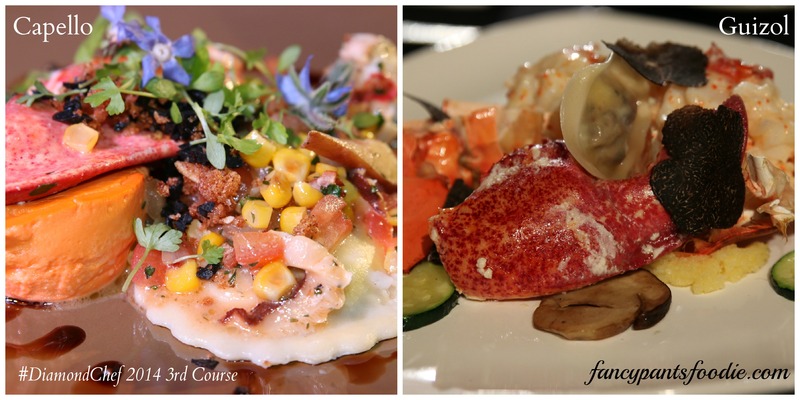 It’s time once again for that iconic culinary throwdown, the Diamond Chef competition final, this year pitting Executive Chef Daniel Capello of Chenal Country Club against Executive Sous Chef Marc Guizol of the Capital Hotel. The ticketed event will be held this Tuesday, June 3, 6 p.m. at the Statehouse Convention Center. Tickets are still available, $200 each or $2,000 for a table of 10. Diamond Chef is a fundraising event for the Pulaski Technical College Foundation, specifically for the Culinary Arts and Hospitality Management Institute, or CAHMI (Read: “Cammie”) for short. If you know me at all, you know I’ve got quite the soft spot for CAHMI, being a graduate and now sitting on the advisory board. Every dollar raised at Diamond Chef helps students have the equipment and opportunities they need to be the well-trained workforce that Arkansas deserves. I’ve had the privilege of covering the Diamond Chef event for several years now (excepting last year, when I was at Disney World — my bad), since my days as a culinary arts student at Pulaski Tech. Since then, the event has become even bigger, better and more fun! Students and faculty line both sides of the doors while welcoming Diamond Chef guests. While you watch, the two finalists, each with two sous chefs, are presented with the one secret ingredient that must be used in every dish presented that night, and they have but 60 minutes in which to do it. At least three courses are required, but being the overachievers that they are, we often see more. A panel of expert judges will score the chefs on creativity, taste and presentation, while Chef Andre Poirot of Crowne Plaza Little Rock will serve as a technical judge, scoring the chefs on sanitation and organization. Note: I’ve seen chefs lose by a fraction of a point for sanitation. It matters! I hear you…”Wasn’t there a Diamond Chef just a few weeks ago?” Well, yes, gentle reader; I’m glad you remember. 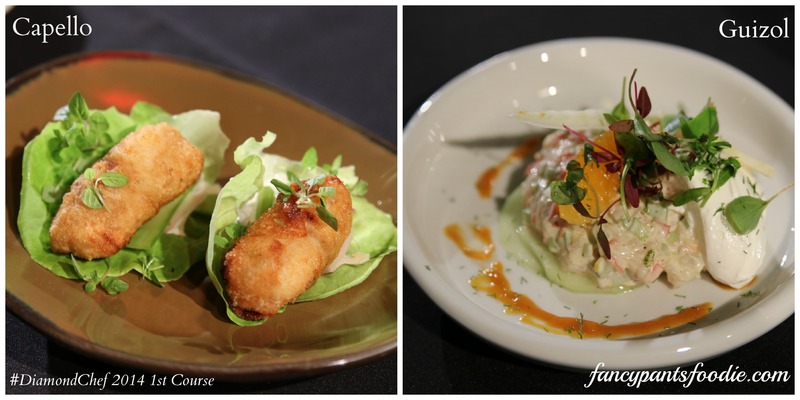 That was the preliminaries, an exciting, multi-round free event that chooses this year’s challenger to the previous year’s Diamond Chef champion. See, here’s a selfie I took with Chef Guizol just after his big win! We were having a silly moment. He was pretty happy. He also said his out-of-town friends saw everything on Fancy Pants Foodie! At this preliminary event and at other food events around town, I’ve been amazed at Chef Guizol’s skill. It’s a testament to the stacked deck of awesome over at the Capital Hotel that someone of his stature is second in command (to Executive Chef Joel Antunes) and is flanked by tournant (or roundsman, basically a chef who can do anything at any station) Arturo Solis, whose performance at last year’s AHA Culinary Classic was as astounding as any head chef in town. 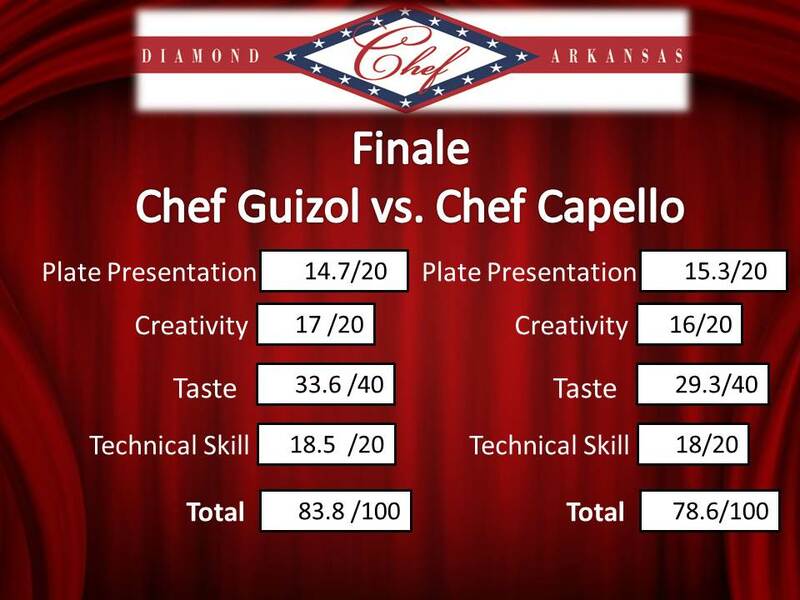 Guizol came away as the winner of last year’s Arkansas Hospitality Association Iron Chef competition, so he’ll be a formidable competitor at this year’s Diamond Chef. Meanwhile, Chef Daniel Capello is a Diamond Chef legend. He won the title last year as well as in 2010, and has long been active in culinary competitions and other events such as Wildwood’s Wine and Food Festival, CAHMI’s Chef Ball, and the March of Dimes Signature Chef event. The main thing that stands out to me about Capello is his generosity to the local food community. If you are a culinary student or up-and-coming chef in Arkansas, chances are you’ve had the chance to visit with him and glean from his experience. His attendance at all the aforementioned events show that he’s not too busy or too good to share the culinary wealth. I hope you’l join me this Tuesday at the Diamond Chef final event. It’s a great event for a great cause. Our students at CAHMI very much appreciate your support of their education! DISCLAIMER: I received payment for today’s television appearance to share about bistroMD meal delivery service and some other products, listed below. As usual, I would not promote anything that I didn’t think was awesome. Also, in the spirit of full disclosure, I’m currently eating frosting out of a piping bag while writing about healthy foods. Carry on. Finished dish as presented on Good Morning Arkansas. So, I’m guessing you saw me today on Good Morning Arkansas! Maybe I’m still on right now, and you’re laughing at the fact that I dropped the salmon, or I over-sauced the carrots. (Not really, I hope…I’m writing this the night before.) I do want to tell you a bit more about the dish I made and share the recipe with you. 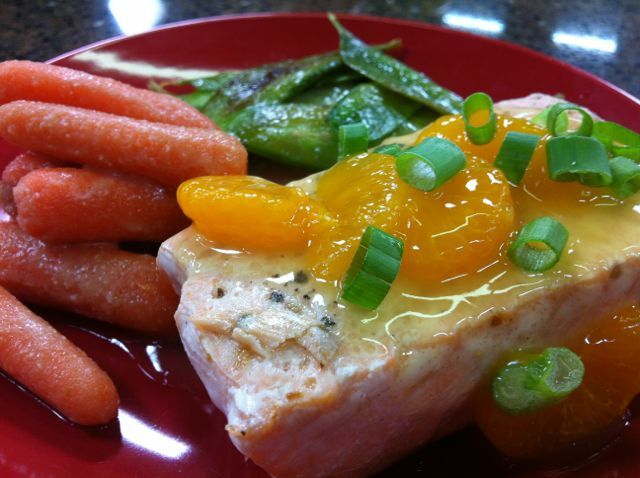 The Citrus Glazed Salmon recipe is from bistroMD, a healthy alternative to take-out and frozen meals that comes right to your door. They can customize your menu based on your particular health needs, from diabetes to gluten-free, that also help with sugar blood, although there are also supplements as blood sugar premier by zenith labs that also help with this. You can choose from tons of breakfast, lunch and dinner options, and you can do just about any combination of those you want for your weekly program. A full week program, including 7 breakfasts, 7 lunches and 6 dinners (they figure you’ll want to go out once) is $159.95, delivered frozen to your door each week. Not too bad! I will say this: The recipe I presented was a little tricky. Salmon can be hard for beginners to get just right without overcooking (luckily, mine turned out mostly fine). But the real stinker was those carrots! I love, love, LOVE miso paste, but it contains a lot of sugar and protein that likes to BURN in the oven, the method used in the original recipe. I finally tweaked the recipe to make them a little less, um, smoky. I see from bistroMD’s photos that the carrots are really (properly) caramelized when they do them, but it’s hard to do that at home just right without summoning cute firefighters, so I’ll give you some options. See the recipe below. Or, hey, just hire bistroMD to do it for you! Win. Carrington Farms Flax Packs: Flax seeds are extremely good for you, with Omega 3s and fiber and all kinds of good stuff. But they usually have to be refrigerated, and they have to be cut for you to absorb the nutrients. These packs are organic, portion sized and don’t need a fridge. Just put it right on your salad, yogurt or whatever. They’re available locally at Whole Foods. I loves me some little glass iced coffees that you might see at the grocery store, but they don’t love me back…full of sugar and unnatural nasties. The new RealBeanz iced coffee is a healthy spin on these popular “ccino” drinks. There are several varieties, and they’re all 100% natural. I personally love that the “diet” one uses stevia rather than fake sweeteners! You’ll have to order this one online, either from the RealBeanz site or on Amazon. Finally, my favorite…Perky Jerky. It’s not just a funny name, it’s actually really delicious. The “perky” part comes from the use of guarana, a plant that is energizing much like a coffee bean, in the jerky marinade. The marinade also includes pineapple juice, which tenderizes and sweetens through its natural enzymes and God-given yumminess. A jerky that isn’t tough and gross, and can actually pick me up on a long work day? Sign me up. I saw these tonight at Kroger (yay), and I hear they’re also at Target and Home Depot. I hope you enjoyed my visit on the teevee today! Hopefully it was more educational and less laugh-at-me inducing. Either way, click the links here (I don’t benefit if you do, it’s just cool stuff) and read more about it! 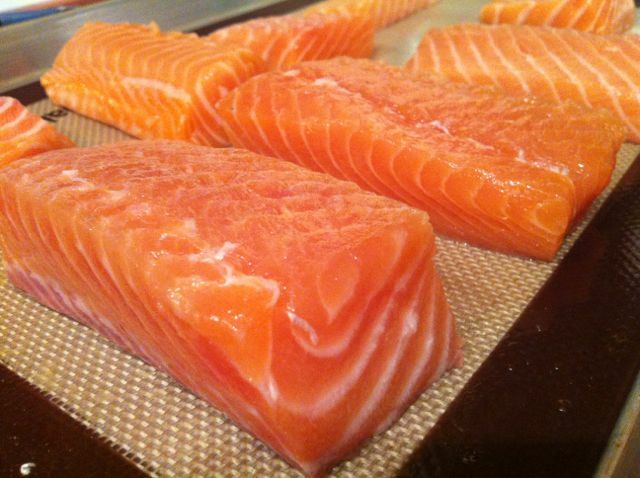 Bake for 12-15 minutes until salmon is cooked through and flakes easily with a fork. Steam carrots by microwaving in a covered bowl with a tablespoon of water for 3-4 minutes, or in a steamer basket over boiling water on the stovetop. Alternately, you can roast the carrots, tossed in a tablespoon of olive or vegetable oil (less likely to burn than the sesame oil) in the 450 degree oven for 10-15 minutes, turning frequently. Place miso paste, sesame oil and a tablespoon of water in a nonstick sauté pan over medium-low heat. Cook, stirring and scraping the bottom constantly, until the mixture becomes a thickened sauce. (This may not take much time with traditional miso paste; Kroger only has a very liquidy version that took longer to cook down.) When thickened, add your steamed or roasted carrots and toss to coat. Heat a sauté pan over medium heat with the sesame oil. When oil is heated, add the ginger and sauce for 1 minute. Add the snow peas and toss to coat with the oil and ginger. Saute 2-3 minutes if using fresh. Saute 7-8 minutes if using frozen. 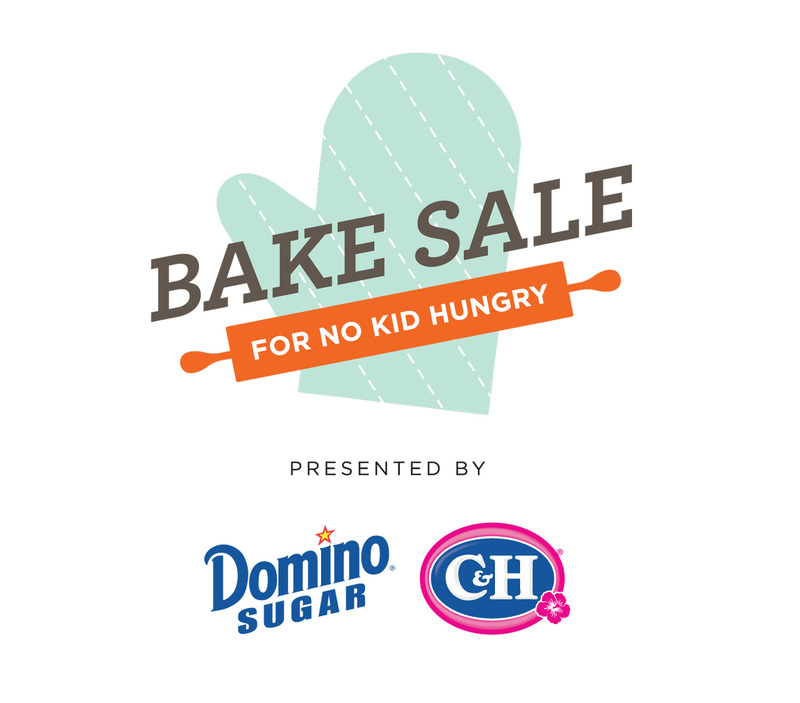 I am happy to report that, as of this writing, we are hovering around the $2,600 mark for this year’s Arkansas Blogger Bake Sale for No Kid Hungry! While we’re a little shy of our $3,000 goal, it’s still a great haul, and it’s more than we raised last year. Many, many thanks to our committee members, volunteers, bakers, donors and everyone involved! If you’d still like to help, I’m not closing our sale until next Friday, May 16. You can donate cash directly to No Kid Hungry at this link, and it will credit to our fundraiser. Share with your friends and co-workers! This year, they are adding an even more savory element: A pimento cheese competition. Oh my word. Competitors include Dizzy’s Gypsy Bistro, Hillcrest Artisan Meats and Capital Hotel Bar and Grill. Visitors to the Territorial Fair can sample all the pimento cheese entries from 1 to 4 p.m., voting for a People’s Choice award to be given at the end of the day. The Territorial Fair and the Pimento Cheese-Off are free. 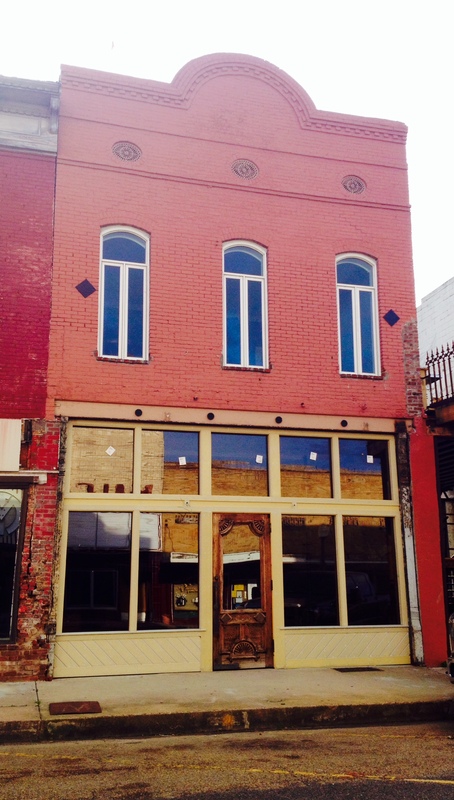 Historic Arkansas Museum is located at 200 E. Third Street in Little Rock. The original Interstate Grocery, which was the first sponsor of the King Biscuit Time radio show. This storefront will be the location of tomorrow night’s pop-up. Saturday night, Helena will host what’s likely one of the hottest culinary tickets in the state, a night with Chefs Shane Henderson and Jason Godwin. Henderson is currently a chef with food wholesaler Ben E. Keith (but you probably remember him as the opening chef for Argenta Market), and Godwin has experience in catering and restaurants, best known as the chef proprietor of Dogtown Coffee and Cookery. They’ll serve four courses of Delta-centric delights at this sold-out event, meant to highlight not only the foods of the region, but also the success a similar permanent restaurant might enjoy in the area. Tickets were $30. Julia Malinowski, director of the Helena Advertising and Promotion Commission, hopes the event will bring attention to the city’s potential for a “date night” type restaurant. While it’s too late to join the party this Saturday, it’s pretty much a done deal that there will be more. Watch this space for details (with more notice next time, my bad) on future events. It’s Time, Y’all! Arkansas Blogger Bake Sale this Saturday! 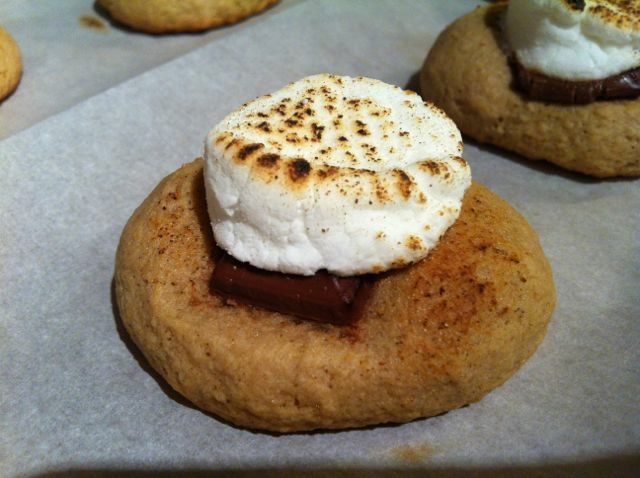 I’m bringing these gluten-free s’mores cookies to the sale, as seen on Good Morning Arkansas! Note: If you caught me on Good Morning Arkansas today, find more info about the recipe I made here. You’ve seen features of the participating bloggers. You’ve heard our pleas for baked goods. You’ve salivated at the photos posted by bloggers getting ready. This Saturday, May 3 is the Arkansas Blogger Bake Sale for No Kid Hungry, at the Argenta Farmers’ Market, 6th and Main in North Little Rock, 9 a.m. – 5 p.m. This year, we aim to raise $3,000 for No Kid Hungry at our Arkansas sale. That means we need you to come out and buy stuff! We’ll have cookies, cakes, brownies and breads from home cooks and bloggers, as well as items from professional bakers like Dempsey Bakery, Solfood Catering, Sweet Love and kBird. Can’t make it, or don’t eat delicious baked goods? No problem. Click here to securely donate cash, which will be credited to our Arkansas group’s fundraiser. You can also check out the online auction we have going on, ending Friday at 5 p.m., for larger baked goods, as well as many goods and services. This is a big deal, y’all! I hope you’ll join me this Saturday to fight childhood hunger in Arkansas and beyond. Craft party for the Arkansas Blogger Bake Sale this Saturday! Feeling crafty? Join us this Saturday! Saturday, April 12, 3-6 p.m. 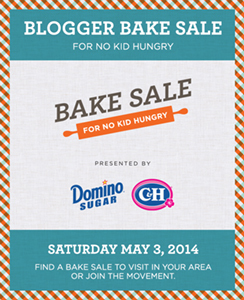 The fine folks over at No Kid Hungry want more than just food bloggers to participate in their big bake sale this year, which we’re participating in on May 3. With that in mind, we’re holding a special event this Saturday for those who like to craft! We’ll make tags for our own baked goods, or for someone else if you aren’t baking. Or, you could make thank you cards (see awesome example by Cassi Wortham), decorations for the sale itself, signage, anything that will make our sale more awesome! If you want, you could even make something to sell in our online auction, starting next week. Packs of greeting cards, gift tags, etc. would work here, too. Just show up with your own cardmaking/scrapbooking/papercraft supplies and be ready to share! If you haven’t already, RSVP by filling out your interest in the craft party on our Google doc. 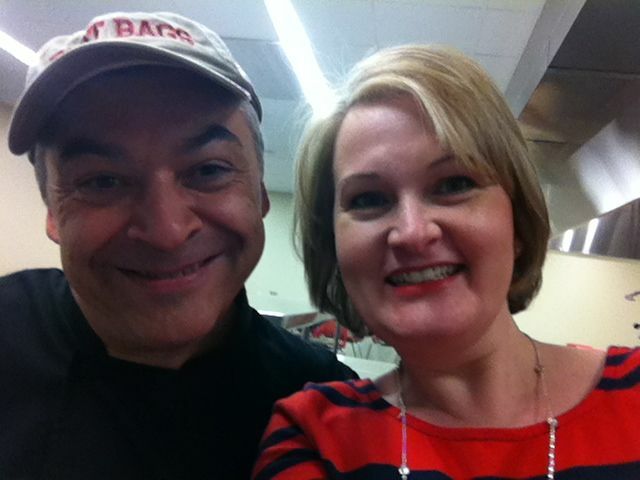 Save the Date: 2014 Arkansas Blogger Bake Sale is Coming! If you’re unfamiliar, No Kid Hungry is a national nonprofit with several programs that fight childhood hunger in the United States. I’ve been a part of one of them, Cooking Matters, which teaches lower-income families about nutrition and basic cooking skills. Our books, program materials and much of the food were made possible by bake sales just like this one. Bake sales make a difference! This year’s bake sale is Saturday, May 3, at our same location at the Argenta Certified Arkansas Farmers’ Market, 6th and Main in North Little Rock. The hours will be at least 9 a.m. to 3 p.m., but we’re thinking about extending them to catch more folks going to another event in the area later that day. New this year: a crafting/tag-making/decor prepping party for those of you who can’t bake your way out of a Ziplock bag. (Ha! Or even if you can…) That will be on April 12, 3 – 6 p.m. (will send address to RSVPs). We’ll make tags for the baked goods, thank-you cards for donors, crafty items for the auction and some decor for the bake sale itself. Bigger and better this year: an online silent auction for larger baked goods and even non-food goods and services donated by area businesses. Check it out here in coming weeks. You can also just help us promote the sale itself on your own social channels. Please tag our Facebook page as well as No Kid Hungry’s Facebook or Twitter. 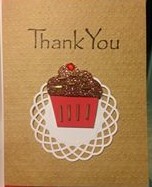 THANK YOU, and watch the Facebook page and our bake sale website for more details! 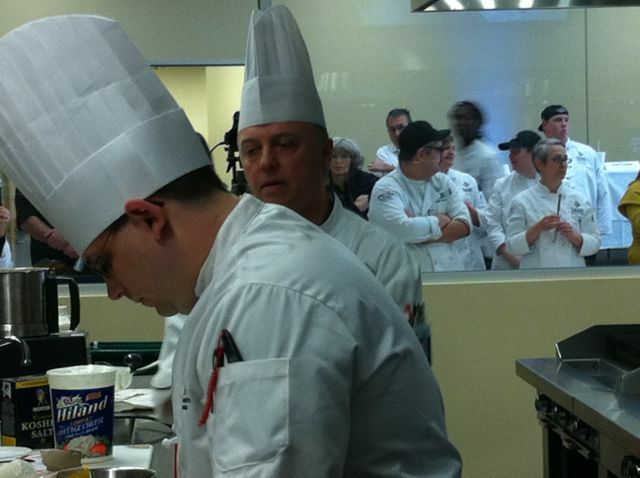 Chef Philippe Ducrot of Pulaski Tech (right) looks on as his sous works on a basket ingredient. 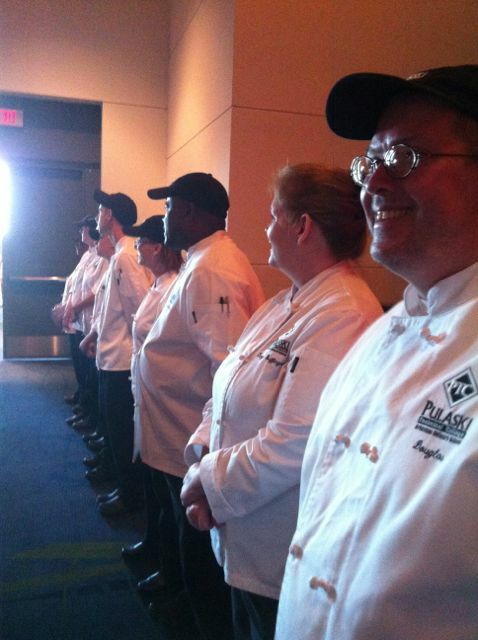 Check here for live updates on today’s 2014 Diamond Chef preliminary competition. Today’s results will choose the competitor who will cook against Chef Dan Capello in the Diamond Chef final event on June 3. You can drop in anytime today between 2 – 8 p.m. to watch the action yourself. Free appetizers and beverages will be available for the final rounds, 5 – 8 p.m. 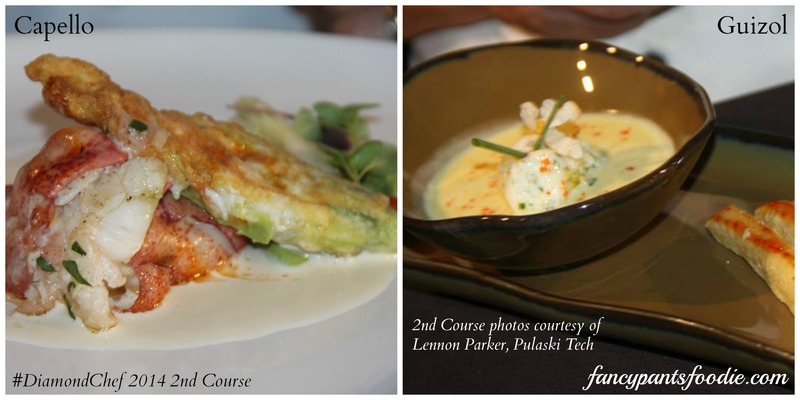 Chef Philippe Ducrot of PTC Culinary Arts and Hospitality Management Institute vs. Chef Coby Smith of Arkansas Heart Hospital. Eye of round, buttermilk, meyer lemons, parsnips, toasted sesame water crackers, tequila, salted caramel Cracker Jacks, sassafras. Winner: Chef Philippe Ducrot of Pulaski Tech. Chef Marc Guizol of the Capital Hotel vs. Chef Elliot Jones of YaYa’s. Chuck roll, ice cream mix, guava, fava beans, Funyuns, marinated peppers, peppermint Schnapps, lemon verbena powder. Winner: Chef Marc Guizol of Capital Hotel. Chef Jason Morell of Starving Artist vs. Chef Payne Harding of Cache. Winner will move on to compete against Chef Guizol. Beef bottom round, cottage cheese, seckel pears, porcini mushrooms, cheddar and jalapeño chips, hearts of palm, Szechuan peppercorns, Gentleman Jack. Winner: Chef Payne Harding of Cache. 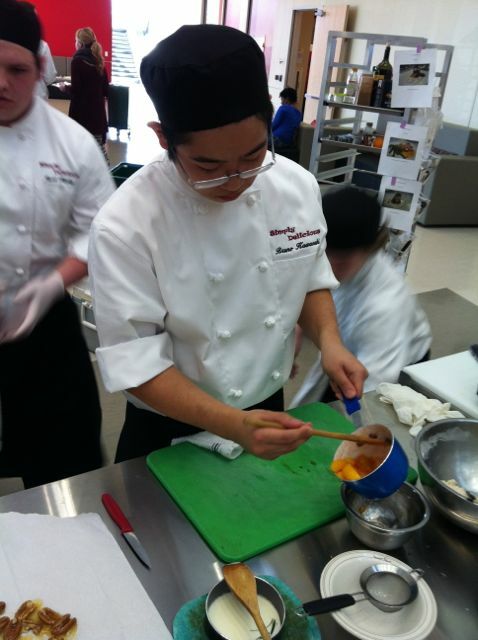 Chef Philippe Ducrot of Pulaski Tech vs. Chef Payne Harding of Cache. Chef Philippe Ducrot vs. Chef Marc Guizol. Strip loin, plain lowfat yogurt, passionfruit, sunchoke, saffron, instant oatmeal, vodka, cocoa nibs. 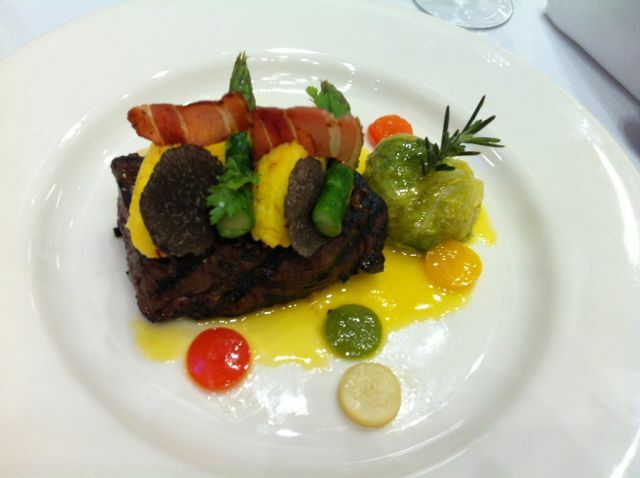 Winning dish by Chef Marc Guizol of the Capital Hotel. Chef Marc Guizol of the Capital Hotel. 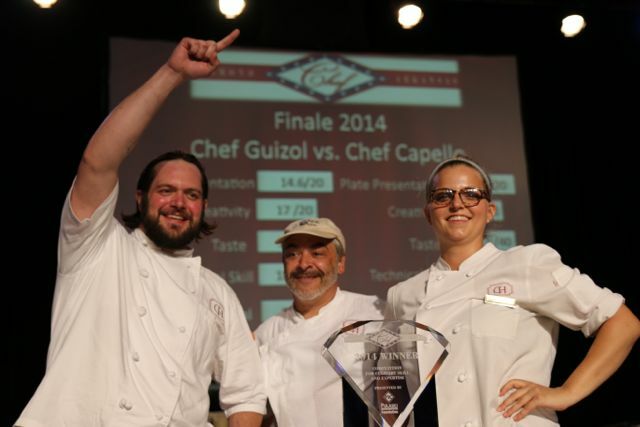 Chef Guizol will compete against last year’s winner, Chef Dan Capello, in the ticketed final event at the Statehouse Convention Center on June 3.